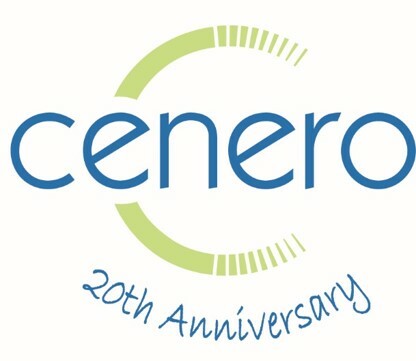 Malvern, PA – February 7, 2019 – Cenero, a leader in audio visual, unified communications and IT solutions, today announced it is celebrating its 20th anniversary in business. Cenero’s suite of managed services, Constant Connect, is the only managed service that can remotely monitor, test and repair all meeting room technology. This provides clients with peace of mind that all critical spaces will be fully functional at all times. Not only does Constant Connect provide proactive support, but it also includes 24-hour on-demand support during meetings, on-site support and detailed analytics on room usage and user trends to help companies make more informed business decisions. Cenero was founded in March 1999 and was originally named ConnectSound. Although the company’s initial goal was to be a software solutions provider to AV integrators, the start-up team led by Chris Henry and Rob Gilfillan soon decided to switch focus and become their target customer. They could utilize the software they designed to standardize processes and create more efficient and accurate designs, creating a unique approach that would stand out in the fragmented and unorganized landscape of AV integrators. The company was rebranded as Cenero and their unique perspective remains one of the main reasons why they are now a leading industry influencer. Cenero is a service focused audio visual, unified communications and IT solutions provider. With extensive knowledge of the most advanced collaboration and audio visual technologies, the company’s goal is to deliver programs that improve communication and drive efficiency throughout an organization. Cenero provides systems design and installation, managed services, cloud-based video solutions and event services.